In Tzonga, lions are called ngala. 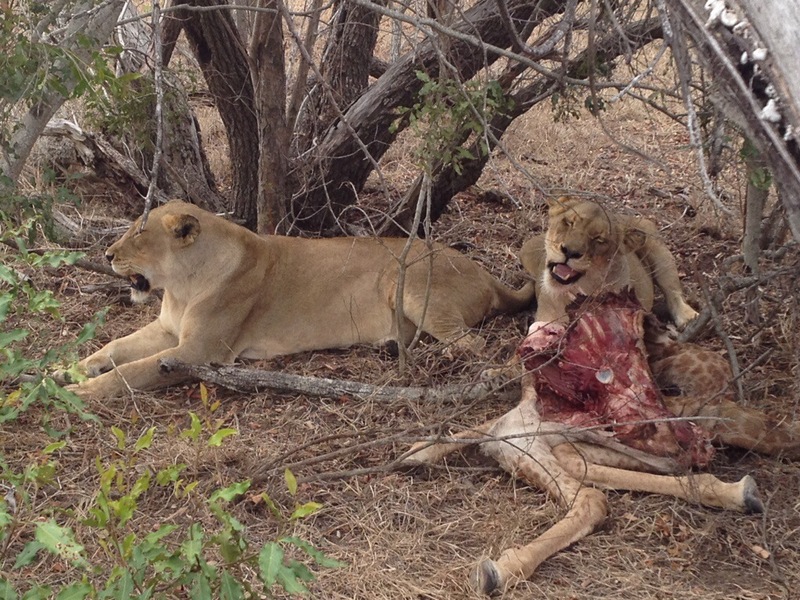 We found these two lionesses gorging on a baby giraffe they hunted earlier in the day. 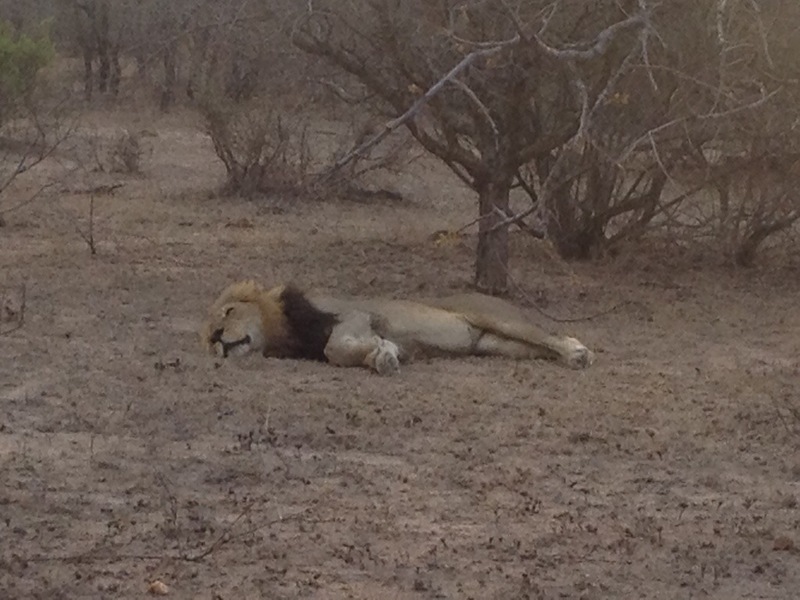 These lionesses are in the process of wearing off a contraception program. The reserve had to undertake this measure as there was an overpopulation of lions and they were killing off other creatures such as hyenas. This is the male that is dutifully and unsuccessfully been trying to preserve the species. His name is Marvin and it took us 2 days of searching to finally find him sleeping in the wide open.